A report came out claiming Google ranked its own sites higher so they appear over other sites when a search is done. The report comes from Ben Edelmen who is an assistant professor at Harvard Business School when he used a comma test search tool to see the real results beneath Google’s altered results. He said on analysis he found that Google’s own sites were given higher placement over the organic results. Edelmen said as an example, one may search for the stock symbol of Cisco which goes by csco. When the search is done the Yahoo Finance site brings up Google Finance as the top ranking result. “It’s no surprise that Google would want to rank itself higher than everyone else which is also achieved partially through paid placements and advertising on the search engine”, said Edelmen. 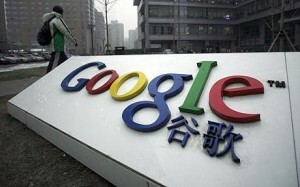 Google had not denied altering the results which it had denied in the past. However Google had always said that it altered the results in order to improve the search experience of the end user. Previous iTunes sells 2 Million Beatles Tracks already! Next Apple making 48 Million iPad 2G by 2011!